I'm a writer and library worker who wears many hats. I believe a good book and a good piece of chocolate are the keys to a happy life. Some of you may already know, but I recently did something a little crazy. Well, crazier than my normal crazy. See, life is hard. It’s true, there’s no way around it. Life is not going to be easy. But that doesn’t mean it can’t be fun. While there are a million different things going on in my life, how I choose to react and feel about those events is completely under my control. And I firmly believe that even though life is hard it is also meant to be a time of great joy. Somewhere along the way, a few months ago, maybe longer, I lost sight of that last fact. I was worried, stressed, sad, frustrated and every other negative emotion you can think of. But I was forgetting to balance it out with anything good and wonderful. Yes, those parts were still there I was just ignoring them because I wanted to be grumpy. One day I decided enough was enough. I learned several years ago that adding touches of fun colors to my hair gave me a boost and made me giggle and remember that life was fun. So, when it came time to re-do my color I looked at that bottle of pink stuff, thought really hard about the way I’d been feeling, and dumped the whole darn thing on my head. It’s different. I look like I think I’m still a teenager. I get some weird looks. I give myself some of those weird looks. But, here’s the thing. When I look in the mirror now I forget to judge myself by the bags under my eyes, the lack of makeup, the spaces in my teeth, or the ghastly amount of weight I’ve gained in recent years. Instead, I look in the mirror and laugh out loud. I think “you are one crazy, awesome lady!” and walk away giggling to enjoy my still rough day with a song in my heart. While I certainly don’t recommend everyone dying their hair pink, (what if you’re not a fan of pink?) I certainly do recommend finding a way to remember what you love most about yourself every day. The world will give you plenty of opportunities to focus on the other stuff, find your own brand of craziness that makes the rest of it all okay and dance with it daily. Life is just better that way. Stumbled upon this wonderful talk on why writing for children and good books are particularly magical. Many of you are aware that the last few years of my life have been, well, interesting to put it lightly. It has meant that many of my extra writing time and paying assignments had to be put aside. I’d been building my career steadily for many years, now I’m almost back to square one as far as money goes. I have other skills. I have things I could do that would bring in a descent paycheck. I have things I would like to try that would bring in a fair paycheck. I have things that I currently do that bring in teeny-weenie paycheck. Now that my life has settled into a new normal I’ve begun pondering which one of those paychecks I value from every aspect. I’ve done a lot of soul searching and wondering what would happen to my sanity if I went back to work at a “real” job full time. It wouldn’t be pretty, but. . . money. Need I say more? The fascinating thing is the more I’ve pondered this, my heart and my God have whispered a very bizarre bit of counsel. “You’re already doing exactly what you are supposed to be doing. Can you guess which line I’m having trouble with? Yep, it’s that whole “Don’t worry” thing. Did I mention the lack of paying assignments and teeny-weeny paycheck? It’s good to know I’m still doing what I’m supposed to be doing, but starting at square one is pretty scary. So, for the next year or so I guess I’m back to busting my not so little hiny with that “Keep writing” thing. 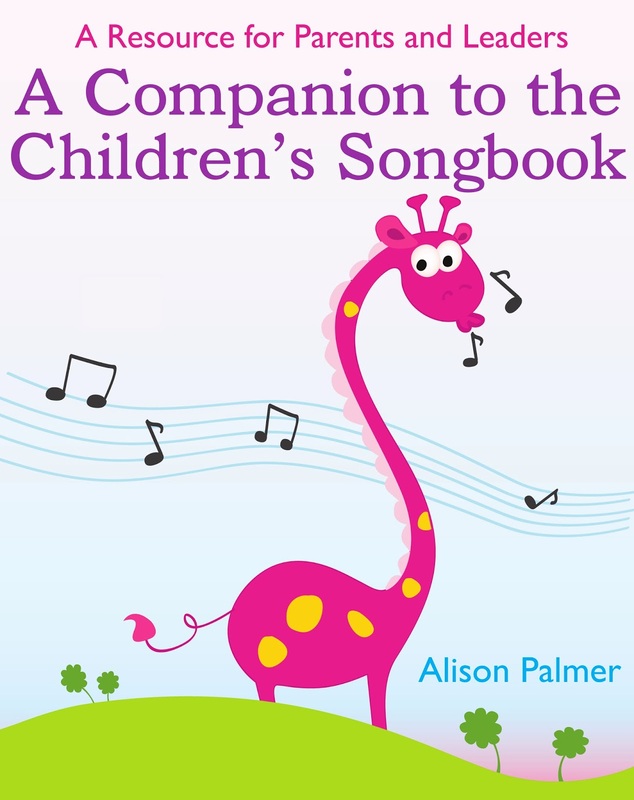 For the entire month of October I have been running small contests on my facebook page for free copies of my new book A Companion to the Children’s Songbook. We’ve reached the last Monday in October, so this marks the last and biggest contest. It will run until midnight (EST) October 31, 2013. You may enter here, or on facebook. I’ll be posting reminders throughout the week there. 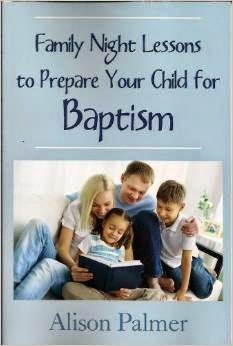 Visit your local Deseret Book store and go on a treasure hunt for my book. Then: Leave a comment if you find it naming the specific store. If you don’t find it, kindly ask the staff at that store to consider carrying it. Then: Leave a comment saying that you did so. Don’t live anywhere near a Deseret Book? 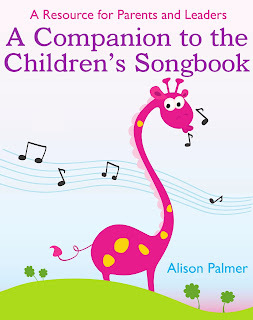 Recommend my book to your local primary chorister, and provide them with this purchase link http://deseretbook.com/Companion-Childrens-Songbook-Alison-Palmer/i/5093163. Then: leave a comment that you did so. 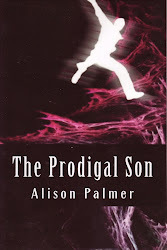 That’s it, just help me spread the word a little bit and you could find a free copy in your own hands. Yippee! She likes to steal shiny coins and pretty trinkets. She lives in reed marshes and lonely fenland. She can only be seen when the bees swarm and the crickets chirrup. She wears pale pink marshmallow flowers and has bright lemon coloured wings like a cicada. 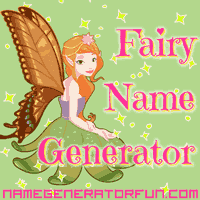 Get your own fairy name from the fairy name generator! I thought I’d share an old Facebook status with you today. 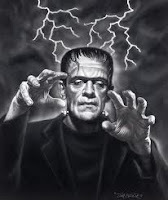 I'm still being haunted by a writing project that needed major revisions. Hubby was asking me about it yesterday and I said I felt like it was mocking me and telling me I didn't have a creative bone left in my body. Him, "Could you hand this off to anyone else and get the same book you would write?" Me, "No, but what if....."
Him, "Just stop it. It's your book, it's uniquely you. It will be finished when it's finished. Stop letting your doubts win and have fun with it. Be you." And once again, my husband grounds me with reality and a no nonsense pep talk. As many of you know, my husband passed away in June. It wasn’t very nice of the stinkbrain and I’m still mad at him (yes, I’m kidding) but I’m doing okay. This old status has special meaning for me today since this particular project is finally headed to press. It turns out he was right. Sometimes I had to dig pretty deep to find those creative bones, but they never completely abandoned me. And, as long as I remembered to have fun with it things worked out the way they were supposed to. I’m extremely grateful to have been blessed with a husband who fully supported the flake that I am and my need to create and write even when the results seemed less than ideal. Thanks dear, I’ll see you on the other side. If you know me, and you know my writing, you know I tend to be rather eclectic. I could probably be a much better writer if I stuck to one type of prose, but that’s not part of my nature and turns what I love to do into a job instead of a joy. Yes, money and success are important parts of feeling fulfilled as a writer, and though you will probably never see my name on the best seller lists or even my tag line on most of what I write, I am happy with the amount of money and success my writing brings me. Were I to change who I am and how I write I’d lose out on my ultimate agenda: joy. I write for three reasons: money, challenge and joy. Of the three, joy is the most important. I take on projects based on their value to me in those three areas. 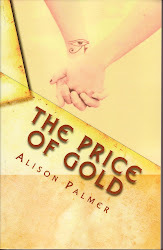 Some things I write are simply because the money is decent. Some are because the challenge of seeing if I can pull it off intrigues me. Some are embraced because I know it will be good for my soul. My current adventure falls into the challenge and joy categories. I’m hoping the money will follow, but it’s not guaranteed. The thing about writing for joy is— there are certain forces who really don’t want you to experience such pleasure because it lifts your spirit and draws you closer to God. That certain someone will find ways to try and stifle your joy, faith, and commitment because it does not fit his agenda. Meany. That’s what happened with my current project. I’d been happily engaged in it, then realized that my “playing” wasn’t making the progress I needed to meet promised deadlines and stretch myself as a writer. Enter worry, stress, and stumbling blocks of all kinds. Have you ever noticed that when you’re on the right track the road can suddenly turn very rough? Yup, that was me. I started pushing for the business aspects of the project and forgetting the reason that I’d taken it on. Not the pride of a finished project, but the joy of the project and being able to convey that to the end-user and spark their own joy. While deadlines and accuracy are extremely important, those cares should not stifle the spirit of the project. I had been pushing myself this past week to both finish the book and find a solution to yet another stumbling block carefully placed in my way. I thought I was up to the challenge and plugging ahead and doing fine. Then, I noticed something when I went back to edit the work for that week. You know what? Most of it stunk. Yep. It was rote words and empty phrases with a complete absence of joy. Needless to say, I’ve missed my deadline- a very rare occurrence over my 10 year career. There was a specific time frame that would have been optimal for getting this book on the market, but what good does that window do if I’m not sharing my best work with the reader? Not much. I had to step back and decide that the spirit and longevity of the final project were more important than getting it done. And, guess what? Once I refocused on that part of things, the joy rather than the drudgery, my stifled creativity is responding with little sparks of new and interesting light. It’s a beautiful thing. Yes, I’ve let a few people down and had to admit my short-comings. It may have some negative outcomes for me to deal with. It may mean this particular project never sees the light of day. I’m going to have to take that chance. This project is about lifting my personal spirit and sharing that experience with the reader in order to lift their own happiness. If I’m not conveying that, I’m not doing the job I set out to do. So, send your joyful and good vibes this way, ‘cause I’m writing, come what may. It's been a lot like constructing Frankenstein's monster. The pieces come from some very strange places some times, and often don't look like they'd fit at all, but they are gradually coming together. Am I the same person I was a year ago? No. Am I a better me? I hope so. Am I writing again? Gradually. It's not an easy process but my creativity, whimsy, and spiritual wells that my writing draw upon are slowly refilling and showing signs of life. No big thunderstorms and lightening bolts yet- but it's coming. What's the price for keeping secrets? How do you save the child who doesn't want to be saved? Yes, approximately 75% of the books I review here are given to me as gifts. This does not, however, mean I'm obligated to like said book, nor to tell you I do when I don't. I review books because I love them, I love my cool friends who write them, and I learn a thing or two along the way. I fully recognize that I'm just one schmuck with one opinion and you are completely entitled to your own. But rest assured, if I write a review I give it to you honestly- the good and the bad- as I see it.